I am a part-time Tutor in Combined Studies at the University of Nottingham. 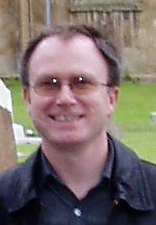 In 2006-2007 I researched and taught a third-year undergraduate module The History of the Family in England, 1200-1900. Genopro was an excellent teaching aid for producing diagrams illustrating feudal marriage alliances, subdivision of peasant landholdings, step-families and affective kinship. Its versatile and colourful charts are particularly useful for visual learners. Families are (and have always been) complex structures interlocking with other communities and kin groups, and Genopro is the first genealogical software to acknowledge this and allow visual presentation of the wider context in which biological families live or lived. Mediaeval English people recognized relationships with a wide circle of their blood relatives (“kindred”), their “affinity”, including relatives by marriage and by baptism (“spiritual kin”); they had “feudal” relationships with manorial lords or Patrons, and were pledged to the good behaviour of all their neighbours in the same township or tithing. The better-off had friendships forged through their education together at public schools and Inns of Court, and complex business relationships with their lawyers and trustees. At last, in Genopro, genealogists and historians can represent all these relationships visually and with rich underlying content. I am currently preparing courses on Kinship and the History of Marriage and anticipate regular use of Genopro to explain their complexities through real-life case studies. Clients for whom I have carried out research projects have been pleased with Genopro charts showing my discoveries; early genealogy often involves degrees of uncertainty, and Genopro provides excellent customisable graphics to distinguish firm facts from tentative theories. Since the launch of Genopro 2007 I have been able to share information, maps and family trees online in “real time”, and this has revolutionized my work.